Have you been injured due to negligent property maintenance? Owners of buildings and businesses in Kentucky and Tennessee may be liable for injury or death caused by careless or defective maintenance, security, construction, or careless employee activity. If you or a member of your family has been injured while visiting a place of business, working on a job site or because of the negligent behavior of a property owner, get experienced legal help. Premises liability claims often require a thorough investigation to determine which party or parties have liability for money damages. Many workplace accidents are the result of property owner negligence. If you have been injured while working on a construction site or industrial facility, you may be entitled to recover compensation beyond your workers’ compensation benefits. We file claims against third parties who share liability for your injuries and financial losses. 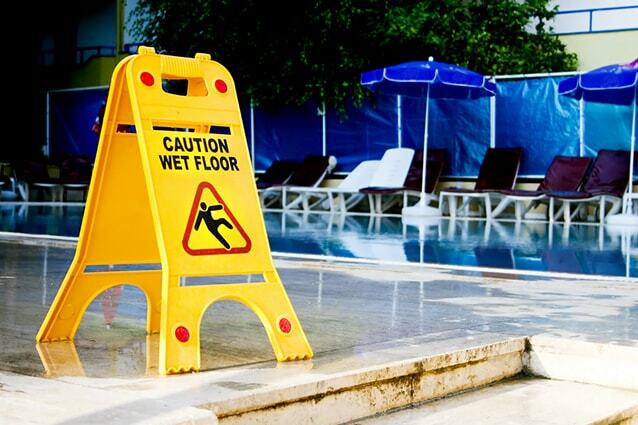 Get straight answers about your premises liability claim. The main reasons people fire their original attorney is the lack of communication and unrealistic promises. You deserve honesty and integrity. At our firm, you will work directly with your lawyer and get straight facts. We won’t lead you down a legal trail that isn’t going anywhere. The Lucius Hawes Law Firm has been helping people recover compensation for injuries and financial losses suffered in slip and fall accidents on unsafe properties for 40 years. We offer a free consultation to discuss the property owner’s responsibility and the likelihood that you can obtain money damages for your injuries. Insurance companies fight aggressively to place the blame on the victim. Our attorneys have extensive experience in all areas of personal injury law. We know the tactics and we know what questions to ask to prepare your case for a maximum settlement, and we will go to trial if necessary.